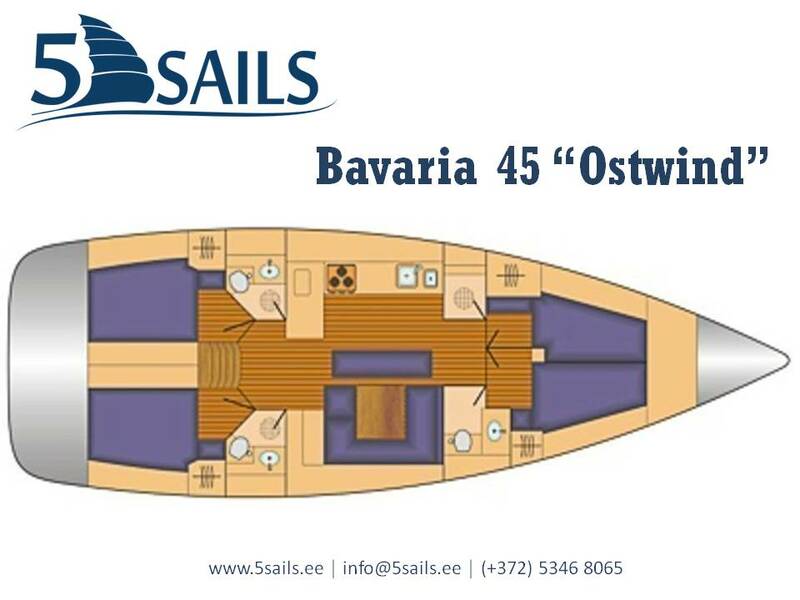 Big sailing yacht Bavaria 45 “Ostwind” is 13,5m long and 4,5m wide and can accommodate up to 16 people. She is perfect for bigger groups. 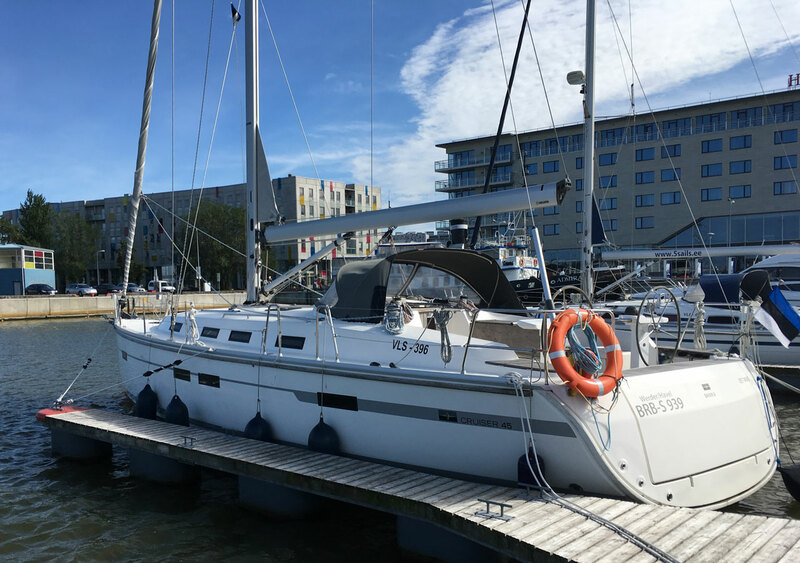 There are four bedrooms, spacious saloon with galley corner, three WC-s and showers. Galley is equipped with everything needed for a comfortable stay: two refrigerators, gas oven and stove, microwave, kitchenware and cutlery. Spacious saloon boasts contemporary interior design, comfortable sitting area and audio system. Outer deck has spacious sitting and sunbathing areas. Like this boat? Lets book it before anyone else does!